Our wide range of experience, advanced technology, and compassionate approach helps patients enjoy every visit. 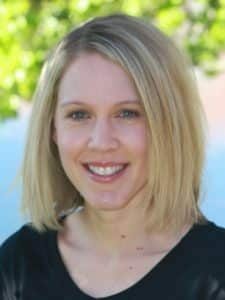 Dr. Erika Peddicord earned her Bachelor’s of Science degree in Integrated Physiology from the University of Iowa before going on to receive her Doctor of Dental Surgery degree from the University of Iowa College of Dentistry. During her education and her initial experiences as a family dentist, Dr. Peddicord came to believe in the power of preventive dentistry and patient education. These beliefs became the cornerstone of her Ankeny practice when she opened the doors of Peddicord Family Dentistry in 2009. Dr. Peddicord focuses on building lasting patient relationships. 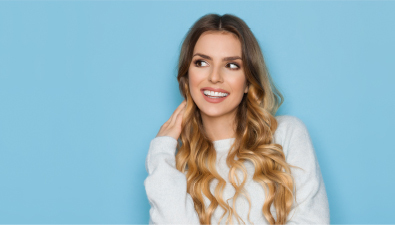 When patients feel comfortable and well informed, they feel empowered to follow treatment plans, take proper care of their teeth and gums at home, and seek out professional dental help when a problem arises. In Dr. Peddicord’s opinion, a healthy mouth should feel good, look good, and work properly. This philosophy influences the procedures she performs, the materials she uses, and the technology she employs. 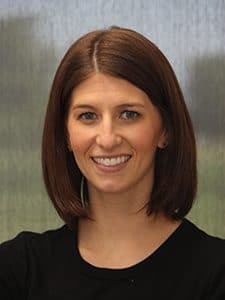 A member of the Iowa Dental Association, the American Dental Association, and the Des Moines District Dental Society, Dr. Erika Peddicord is licensed through the Dental Board of Iowa. 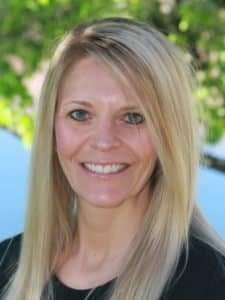 Dr. Peddicord and her husband, Patrick, have lived in Ankeny for over 10 years, and enjoy raising their two young children in the family-friendly community. Outside of the office, she enjoys playing with her children, taking them to various activities, socializing with friends, exercising, gardening, cooking, and being a part of her church community. 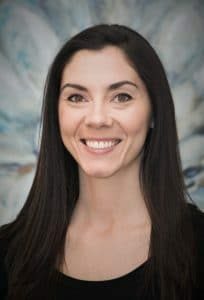 Since 2009, Dr. Erika Peddicord has assembled a top-notch team of highly skilled, compassionate, and friendly dental professionals who all have the same goal in mind: helping you maintain optimal dental health. Dr. Allen grew up in eastern Iowa and graduated from Augustana College in Illinois with a degree in Biology. He then entered dental school and earned his Doctorate of Dental Science from the University of Iowa, College of Dentistry, in 1987. Dr. Allen and his wife, Paula, moved to Des Moines, where he worked in a group practice and she worked in management for Von Maur. The 9 years they spent in Des Moines allowed Dr. Allen to gain valuable dental experience and establish good working relationships with several specialists. They moved to Pella in 1996 and Dr. Allen opened his family dentistry office in a historic building, downtown, on the square. In 2003, the building was completely renovated and expanded to accommodate the growing practice. 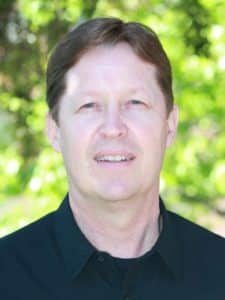 In addition to his private practice in Pella, Dr. Allen serves as an adjunct faculty member, helping senior dental students in the Department of Family Dentistry at the University of Iowa. The Allens participate in many community events and activities, and they support the community, schools, and local non-profit organizations. Their daughter, Katie, has been involved in tennis and dance throughout her high school and college years. Dr. Allen enjoys all aspects of dentistry, especially incorporating new technology and materials into his daily patient care. He feels fortunate to be in a profession in which he can help people enjoy high quality of life through excellent health. He takes special care to keep a warm and friendly atmosphere in his office so that his patients feel well cared for, comfortable, and welcome. In their free time, Dr. Allen and his wife enjoy working out, hiking, playing tennis, biking, playing cards with friends, watching movies, and traveling. 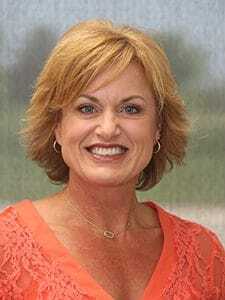 Dr. Gregg earned her Bachelor of Science in Biology from Morningside College in Sioux City, IA in 2013. She then completed her Doctor of Dental Surgery from the University of Iowa Dental School in 2017. She joined our office in 2017 and is a member of both the American Dental Association and the Iowa Dental Association. She’s also volunteered her services at the Iowa Mission of Mercy since 2011, offering free dental care to people in need. Her down-to-Earth personality helps patients feel comfortable and she always looks forward to getting to know her patients and building a relationship with them. She is currently engaged to her fiancé, Alex. They graduated in the same class and have been sweethearts since dental school. She has a golden retriever named Wrigley and when not in the office, enjoys watching the Chicago Cubs, seeing movies, traveling, and playing board games with friends and family. Becca joined our team in 2017 as a registered dental hygienist. Becca earned her Associate of Arts from St. Petersburg College and her Associate of Science in Dental Hygiene from Santa Fe College. She also volunteers with Mission of Mercy’s Dental Outreach program. 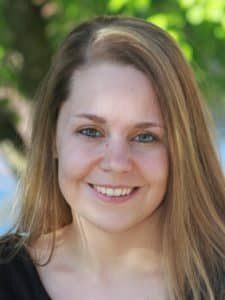 Becca enjoys educating her patients and building a trusting rapport, while her patients love her calm and friendly demeanor. Becca has a Boston terrier named Chief and when not in the office, she enjoys traveling, yoga, running, and spending time with family and friends. Susan joined our team in 2018. 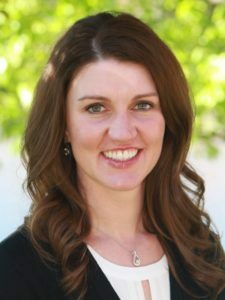 She graduated from Minnesota State University in 2007 and boasts over 11 years of experience in dentistry. She strives to stay on top of the latest advances in dentistry, her primary focus being technology and periodontal treatment. She enjoys the opportunity to bond with her patients and help them commit to better oral health. Her patients find her to be gentle, funny, and easy to talk to. Susan volunteers with the Animal Rescue League of Iowa. She is married to her husband, Josh, and they have two children, Anna and Aaron. When not in the office, Susan enjoys watching movies, traveling to new places, and walking her two dogs, Britty and Charlie. 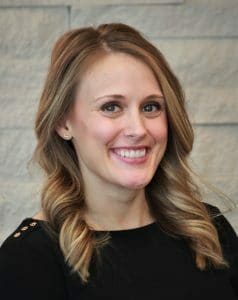 Stephanie earned her Associate of Applied Science degree from Hawkeye Community College and joined the Peddicord Family Dentistry team in November of 2009. A real people person, Stephanie enjoys getting to know her patients during their regular checkups and cleanings. She believes developing lasting patient relationships is the best way to help them reach their oral health goals. Stephanie is the proud pet-parent of a dog named Max and she enjoys running and spending time with friends and family during her free time. Amy joined our team in 2012. Patients appreciate how compassionate, caring, and easy to talk to she is. Amy strives to ensure patients feel comfortable and wants to get to know them. She is a member of the Lighthouse Community Church and volunteers with mission trips and the child’s ministry. She and her husband, Dennis, have three children, Kolby, Karlee, and Korben. They also have a Chihuahua named Wrigley. Outside of the office Amy enjoys spending time with her family, watching her children grow and play, and attending all of their sports and after-school activities. 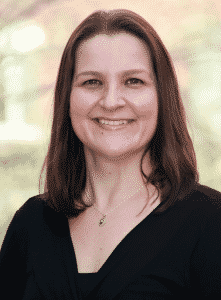 Michelle graduated from Vatterott College and joined our practice in 2017. Patients love how easy it is to talk to Michelle and her sense of humor; she enjoys getting to know her patients and listening to their stories. Outside of the office, Michelle bakes, reads, and enjoys time with her husband Andy and son Hudson. Jessica joined our practice in 2018. She earned her Bachelor of Arts in Child, Adult, and Family Services from Iowa State University. Jessica strives to ensure patients enjoy a positive experience at the office and is always eager to hear their stories. When not at the office, she enjoys spending time with her husband, Jordan, and daughter, Audrey. She also enjoys a good book and hanging out with friends and family. Janell joined our team in 2018! Our patients love her friendly smile and warm greeting. Janell looks forward to meeting our patients and helping them feel comfortable. When not in the office, she enjoys volunteering with the Saylorville Church. She and her husband, Joe, have three children, one son-in-law, and one grandchild. They also have a dog named Bella. Her hobbies include exercise (she’s actually a certified fitness trainer) and she loves spending time with her friend and family. 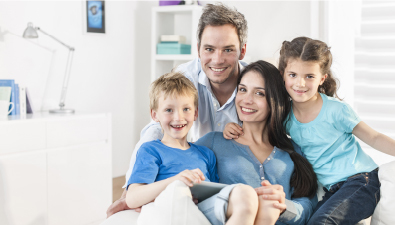 To meet our team in person, schedule a consultation by calling Peddicord Family Dentistry in Ankeny, IA, today at (515) 963-3339. We also proudly serve patients of all ages from Bondurant, Polk City, Elkhart, Alleman, Cambridge, and all surrounding communities.